The Napoleon Ascent™ Series of Gas Fireplaces is uniquely designed to brighten the vibe of any room in your house. With an incredible range of sizes and design options, it is sure to suit any vision. The Napoleon Ascent™ X 36 Gas Fireplace enhances ambiance in any room with the most industry realistic, exclusive PHAZER® log set and glowing ember bed. The clean face design with heat radiating ceramic glass of the Ascent™ X 36 maximizes optimal viewing to ensure your new fireplace is enjoyed to the fullest. The Ascent™ X 42 allows you to easily transform an everyday room into a gathering space worthy of your most critical company and life's most enjoyable moments. Perfect for builders and homeowners alike, this 42" head turner boasts a premium split oak log set, the most realistic in the industry. Napoleon introduces the most versatile series of linear gas fireplaces, the award-winning Vector™, and Luxuria™ series provides you with an elegant fire element allowing the flames radiant glow to enhance every room, available as single sided or See Thru. Napoleon’s Linear series of gas fireplaces are the perfect fit for any room to make a statement in your home. This Series can also be dressed to match any interior design with dozens of media options available, the possibilities are endless. Napoleon’s new patent-pending heat management system, Dynamic Heat Control™ (DHC), is a system for managing the heat produced by the appliance at or around the fireplace, allowing it to circulate effectively within designated spaces. Design your living space how you imagine with versatile options that avoid complex and costly installation requirements. 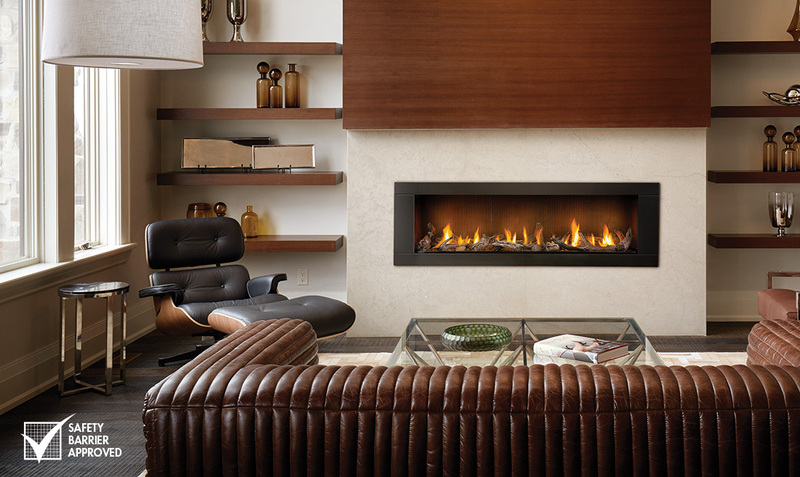 Create a stunning focal point with Napoleon’s Allure™ Vertical Electric Fireplaces. 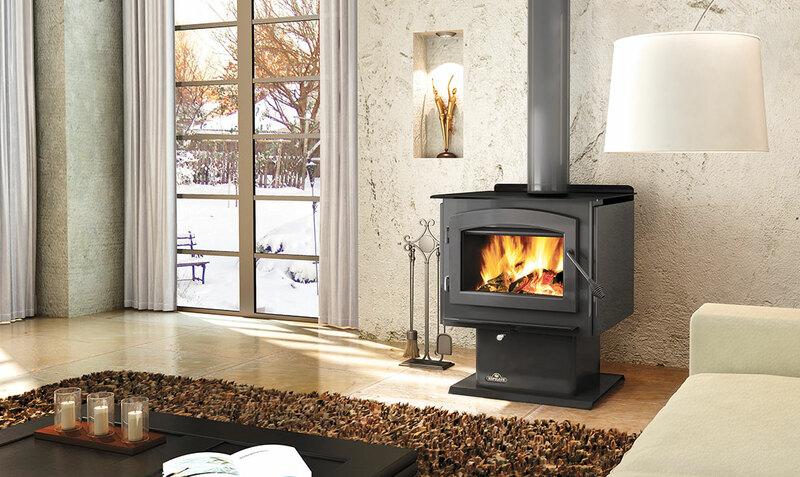 Available in two sizes, these fireplaces are not just perfect for any room but for EVERY room! The Napoleon Woodland™ Electric Log Sets are the perfect solution to filling in an old pre-existing masonry fireplace opening. Create the coziness and ambiance of a real fire without any of the mess. These hand-painted Electric Log Sets are as easy as plug and play for an instant update to your room. 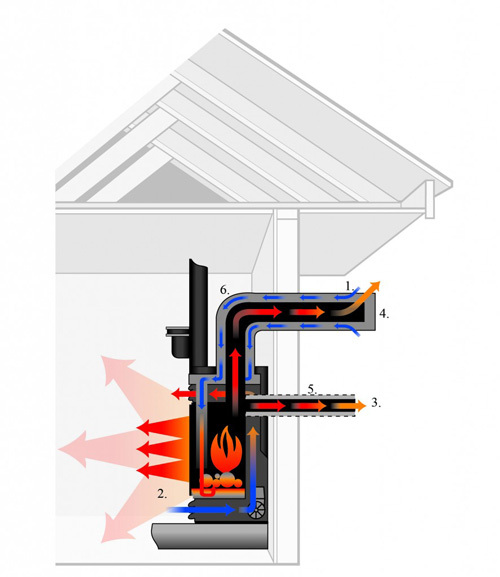 A renewable energy source, environmentally friendly, economical, convenient, these are just some of the reasons a Napoleon Pellet Burning Appliance is the perfect solution to heat your home. Uncompromising pellet performance year after year with the comfort of knowing you have selected a product made with true craftsmanship and advanced technological innovations. Gather around with your family and friends beside the warm radiant heat of Napoleon’s outdoor gas Patioflame® tables. Each model features a topaz glass ember bed for beautiful flame reflections and colored glass is available for further customization. The Proflame 2 remote system is a thermostatically controlled transmitter that provides on/off status, flame height, blower speed, night light control and displays room/set temperature as well as having a low battery indicator and child-proof features. This remote control allows you to switch the appliance on or off from anywhere in the room.